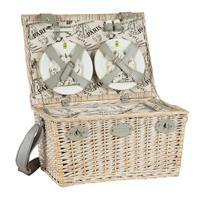 Les Jardins de la Comtesse picnic baskets are so chic and handy ! 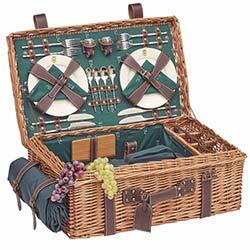 All of our picnic baskets are made in wicker and hand-made in an artisanal way. 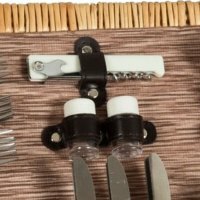 Ceramic or aluminum plates, cutlery, salt shaker, pepper shaker, corkscrew (with knife and bottle opener), our baskets are completes. 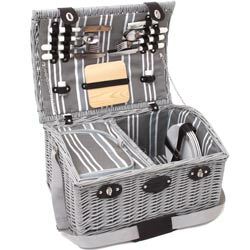 Fixed or removable, the insulated compartment will keep your products cool or warm. 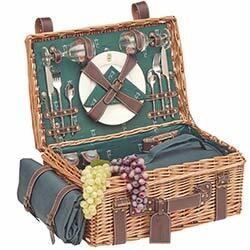 A picnic basket offers an unforgettable and conviviality moment. 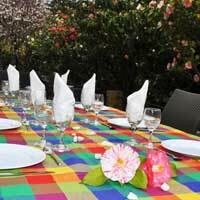 Are you a fan of tribal-styled meals and exotic patterns? 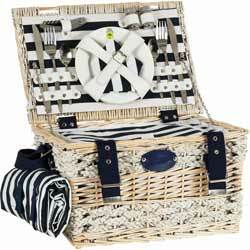 The Bel Air basket is for you! 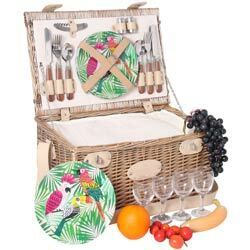 The 6-person picnic basket is fully equipped and will surprise you with its very colourful plates with tropical parrot patterns. 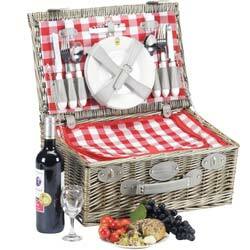 A large wicker picnic hamper for 6 people for a successful picnic with family or friends. 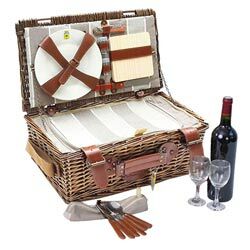 With genuine grained stitched leather, porcelain plates, and monogrammed cloth, the most beautiful of our picnic hampers. 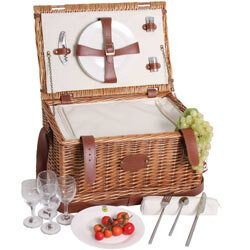 Here’s our most beautiful wicker and leather picnic basket for 6. 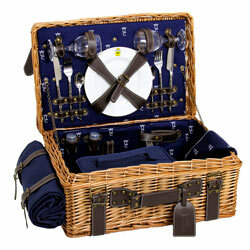 The Champs-Elysées is now available in blue. The perfect basket for a luxury picnic. 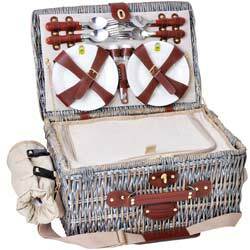 A Picnic Basket With leather decorative finishes, making it an exceptional basket, for an ultra-chic picnic. 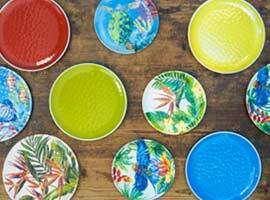 The Trianon range is growing! 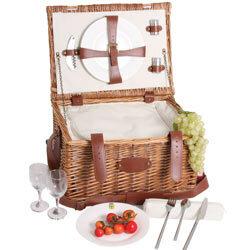 Check out our 6-person cream-coloured picnic basket. A high-quality leather basket! 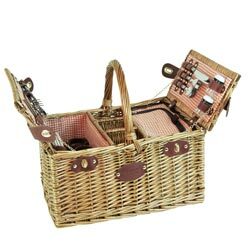 For a chic yet practical picnic : Chic with real tan-coloured leather, and practical because of its washable coated fabric. 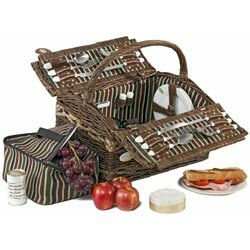 A magnificent, uniquely shaped picnic basket for 4 people. 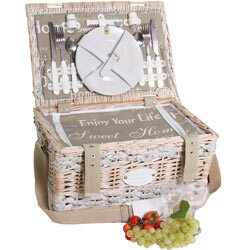 In addition, cutlery is stored in a very nice wicker box that you attach to the basket with two straps. 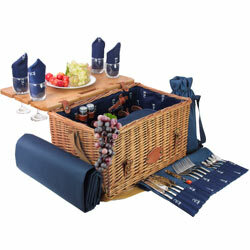 The new 4-person Bel Air picnic basket is perfect for a gift or for yourself. 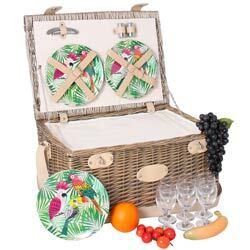 Including 4 unbreakable plates made of pure melamine, this basket will make you want to get away with its sumptuous tropical parrot motifs. 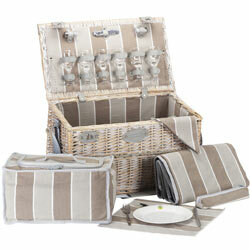 A practical orange gingham picnic hamper with bottle holders. 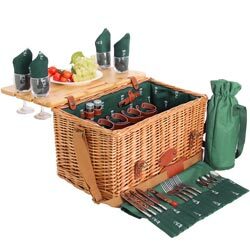 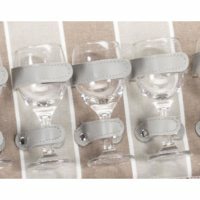 A green gingham picnic basket, unique and practical thanks to its 3 bottle holders. 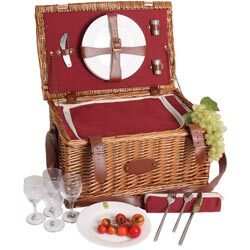 A red gingham picnic basket, unique and practical thanks to its 3 bottle holders. 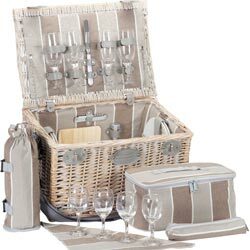 Fully-equipped 4-person picnic basket consisting of two compartments: one insulated to keep your bottle of wine or water cool, and the other in fabric to easily store your dishes. 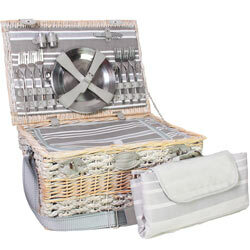 A 4 person picnic hamper in light grey wicker with a handle on the top for easy transportation. 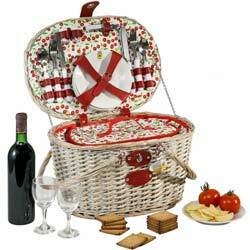 For a chic picnic in any situation, here’s an innovative idea : a basket with an integrated table and glass holder. 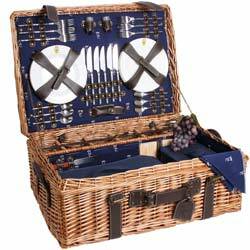 The most unique picnic basket from Les Jardins de la Comtesse, thanks to its beautiful table and integrated glass holder in a beautiful deep blue. 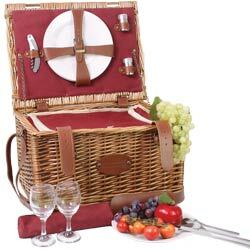 A great picnic hamper for 4, it is made of honey-colored wicker and genuine grained leather. 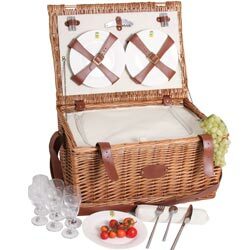 One of our most beautiful picnic hampers, it is made of honey-colored wicker and genuine grained leather. 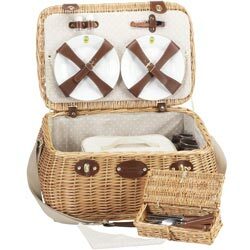 A wicker and leather picnic basket with a cream-colored blanket. 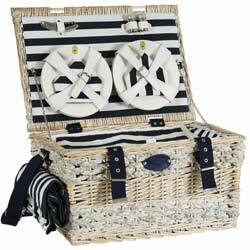 An ultra-chic basket. 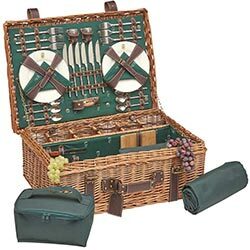 The perfect picnic basket for outdoor lunches in the country. 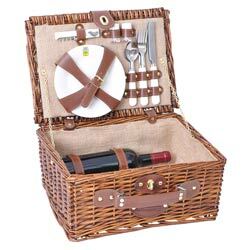 A picnic basket in the shape of a shell made of antiqued wicker making it truly a unique item. 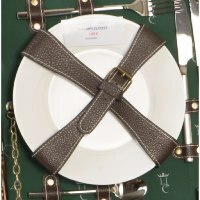 The shoulder strap makes it easy to carry. 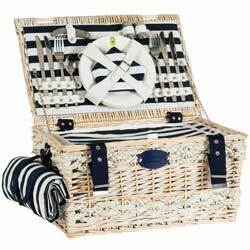 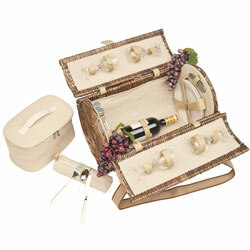 This elegant weathered wicker and white rope picnic basket is the dream gift for a romantic getaway. 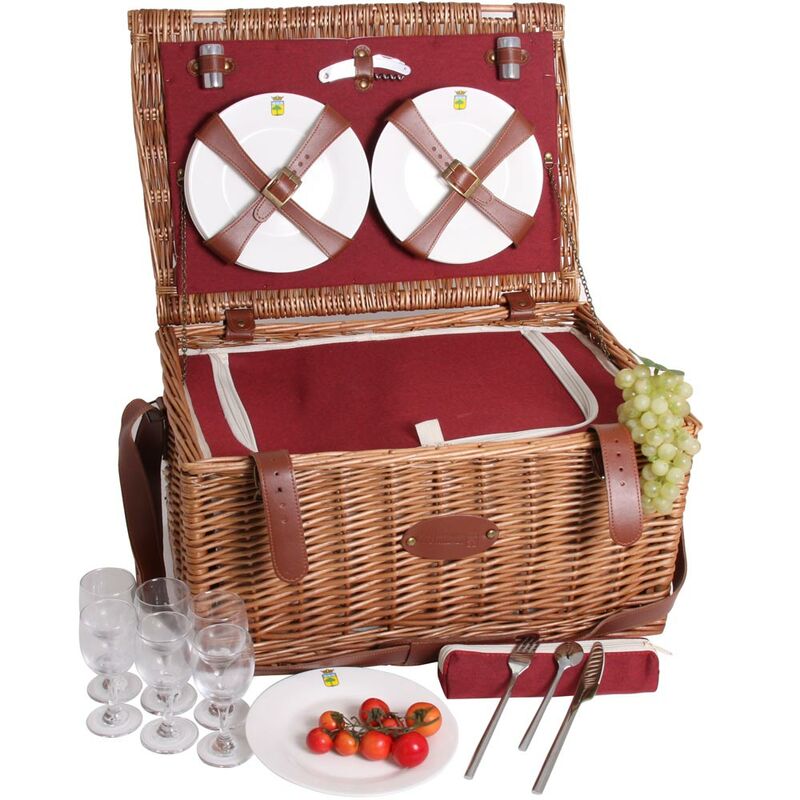 Our brand-new 2 person picnic basket! 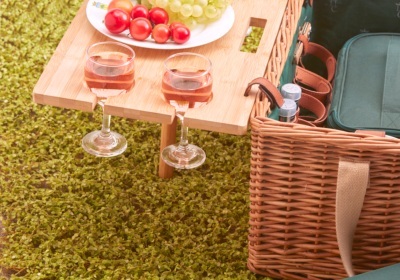 The Chambord is unique because it’s round. 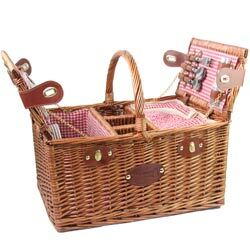 That’s a first for our baskets! 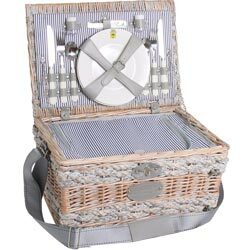 This new 2 person picnic basket is called Bel Air. 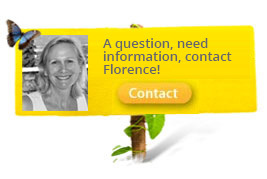 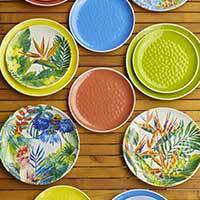 It has 2 melamine plates with tropical patterns. 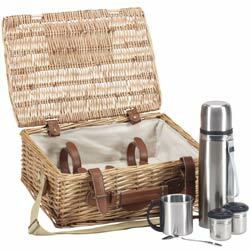 This dark wicker picnic basket will meet all your needs for road trips, thanks to its very practical shape. 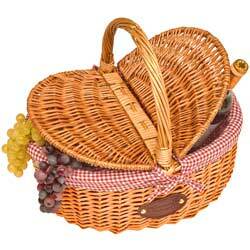 One of our most beautiful picnic baskets, it is made of honey-colored wicker and leather. 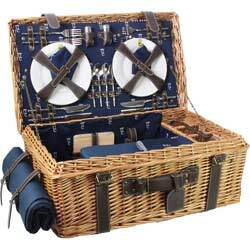 A beautiful wicker and leather picnic basket for 2. 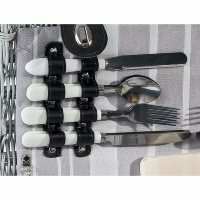 Now available in blue. 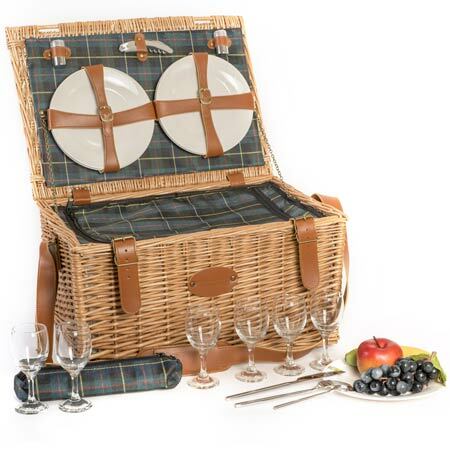 It is the perfect basket for a luxury picnic. 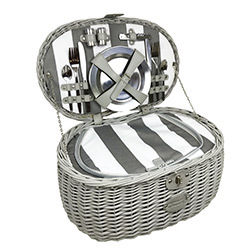 A chic picnic basket made with unique expertise: with an off-white washable fabric and leather straps. 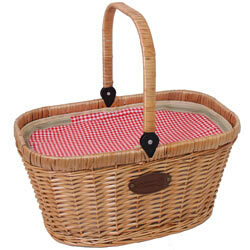 The Trianon line of Picnic Baskets has grown with this new Solid Red Trianon for 2 people. 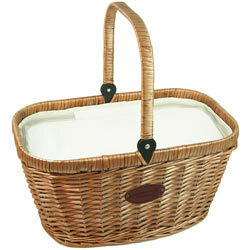 The Chantilly Lin insulated basket is a wicker and empty one, essential for going to the market or for your picnics. 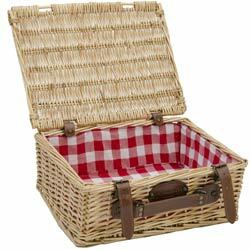 Red gingham Chantilly insulated wicker basket. 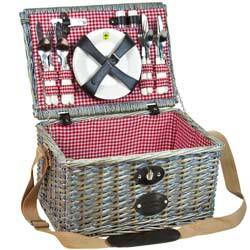 Essential for going to the market or for your picnics. 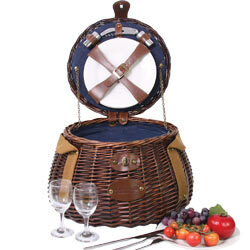 The "Campagne" ("Countryside”) wicker picnic basket is ideal for trips to the market or for picnics. 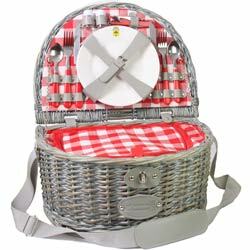 A practical and elegant picnic bag for coffee breaks or friendly tea ! 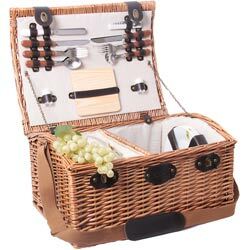 It’s flat so it easily fits into any car boot. 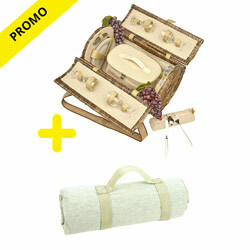 Enjoy this pack especially created for the summer coming ! 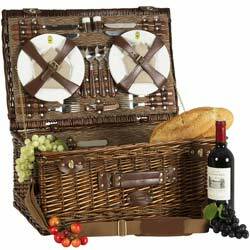 It includes the wicker picnic hamper "Opéra" complete for 4 persons and a 50% discount on a beige tablecloth. 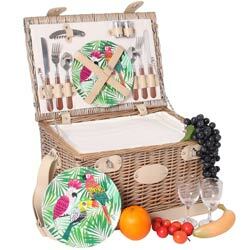 The perfect present to enjoy a convivial and chic moment with your family or friends. 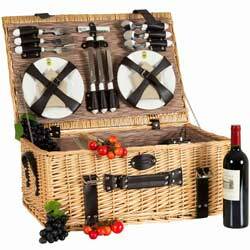 This untreated wicker hamper will be right behind you in all your gourmet ventures.